"Let your plants star in the show this Christmas." 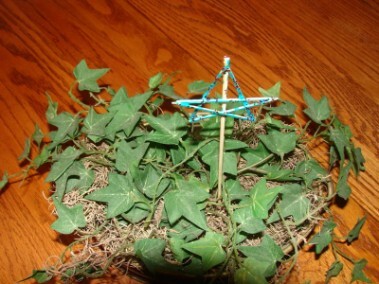 Use a glue such as Elmer’s craft glue or Loctite wood glue to glue the flat toothpicks into the shape of a star. It is easier to make the middle first by gluing three toothpicks in the shape of an uppercase A with the horizontal cross bar sticking out evenly on each side. Then, finish the bottom by crossing the last two toothpicks to the points of the cross bar. Let dry. 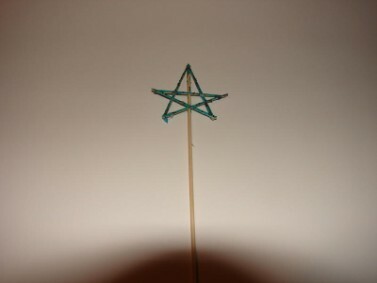 Glue a bamboo skewer through the center of the star with the point of the star upward and the point of the skewer downward. Mix paste food color with a small amount of the Elmer’s craft glue. Brush this on one side of the star. Sprinkle glitter on this while still wet. When dry, repeat on the other side. Make several, and stick in your plants. This is good for the plants because it aerates the soil. Plants are mentioned many times throughout the Bible. 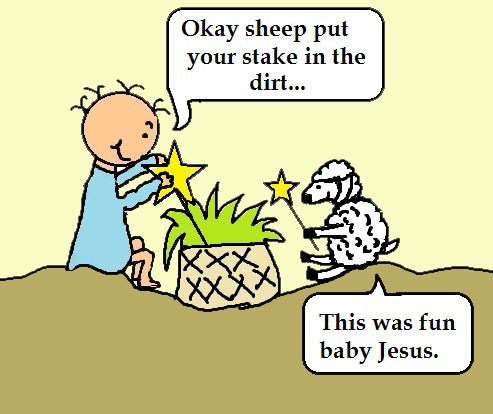 Two of the gifts that the wise men brought to baby Jesus, frankincense and myrrh, were derived from plants. Mat 2:11 And when they were come into the house, they saw the young child with Mary his mother, and fell down, and worshiped him: and when they had opened their treasures, they presented unto him gifts; gold, and frankincense, and myrrh.